Another new product at NAMM this year from IK Multimedia see them adding a DJ solution to their popular iRig series. Called the iRig mix we see a 2 channel dj style mixer solution that allows you to access your i device libary and mix it up with another connected device as well as enabling you to patch in a guitar or mic on a 3rd dedicated channel. 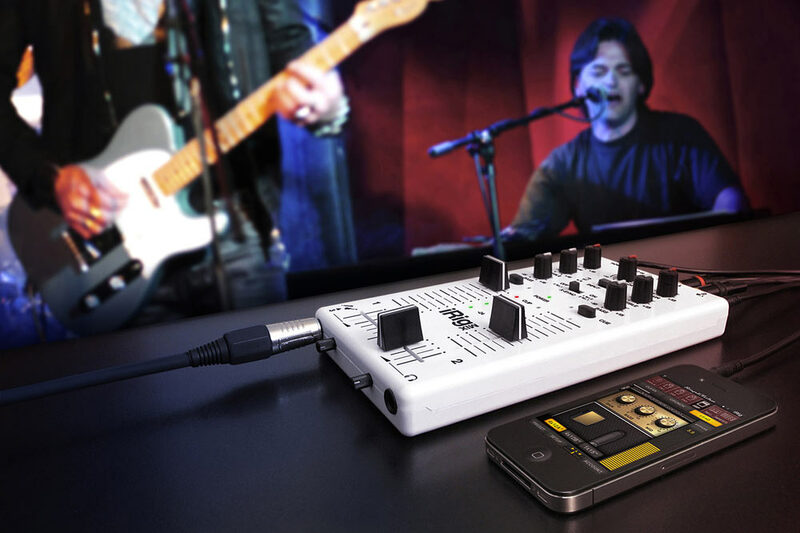 The IK Multimedia iRig MIX lays claim to being the first mobile mixer for iPhone, iPod touch or iPad devices. iRig MIX offers the same controls you would expect from a professional DJ mixer (crossfader, cues, EQ and volume controls, etc.) in an ultra-compact mobile mixer that can be used with a huge variety of iOS DJ mixing and other apps. 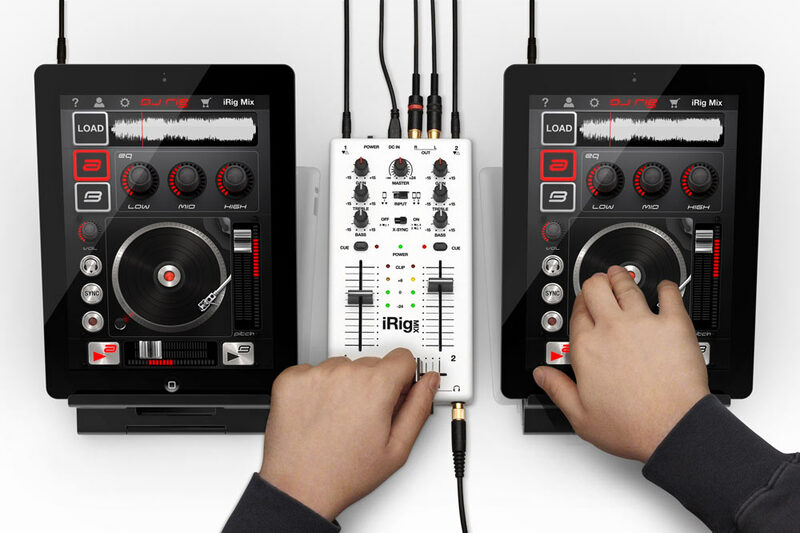 The IK Multimedia iRig MIX allows DJs to use a traditional setup with two devices (one plugged into each of the independent channels) OR a single iOS device. For the single iOS device setup, the output of the single device is split into dual-mono and sent to the individual channels. Additionally – for the first time on any DJ mixer – iRig MIX can be used for mixing any type of audio source including those coming from mp3 players, CD players, etc… with an iOS device using automatic tempo matching and beat syncing. This is accomplished with X-Sync, a feature that works in combination with the DJ Rig free app from IK Multimedia that is included with iRig MIX. The ultra-compact size and low profile of the IK Multimedia iRig MIX allows it to be easily be carried in a regular iPad bag. Plus its low-voltage power supply (only 5VDC) lets it be powered not only by any regular mobile device charger, but also by suitable iOS battery pack or laptop USB port for maximum mobility to mix anywhere. IK Multimedia iRig Mix - Not Just For Dj's!